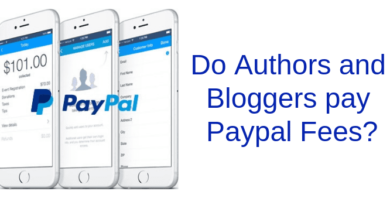 What More Can I Do To Promote And Sell My Books And Ebooks? What Else Can I Do To Sell My Books And Ebooks? Selling self-published ebooks is not an easy road. This is such a common feeling amongst self-published authors, and it is a question that has a few surprising possible answers. The very first thing to do, though, is to think about who you are pumping your book to, why you are doing it, and lastly, how people decide to buy books. Take a moment now to consider how you make the decision to buy a new book. My bet is that it may not be the same as how you are trying to sell your own books. Most likely, you make your decision to buy a book by recommendation, word of mouth, by reading newspaper and magazine articles or by simply ‘tripping over’ something that caught your interest as you were hunting the Internet for cheap flights to Madrid. Now, just consider that for a moment. How many people, right now, are looking for cheap flights and love to travel and also, duh, read books? Millions? Okay, so here is one possible answer to the original question. Start a travel blog, and focus on cheap travel and inexpensive holiday ideas. You’re a writer, so it will be easy. Now, once you have thirty or forty posts, and a little traffic coming to your new blog, pop your Amazon book widget into the sidebar of your blog, in between a couple of Google ads, and let people ‘trip over’ your books. Add your author page a little later, once you have a steady daily visitor rate. Then start a new Twitter and Facebook Page for your cheap travel blog and see how many more followers you get because you are delivering quality content and advice, and not flogging books. The difference here is that this is marketing, and not selling. Twitter, Facebook and blogs dedicated to your own books and you as an author are merely selling tools. Think outside this direct selling mentality, which in fact drives people away, not towards your books, and focus on marketing, which means having your books discovered by far more people than just other authors, who of course are all doing the same thing and making the same mistakes on Twitter and Facebook. Blogging is not only an excellent way to market your books but is also a means to create a secondary income stream via pay per click advertising, such as Google Adsense or Clickbank. The key to blogging success is to be focused on one clear topic, as this will bring repeat visitors as well as very good search engine indexing and therefore more and more traffic. The second answer is also a blogging angle and it is to look at the main topics or themes in your books. Vampire myths and legends, life in Regency times or the famous people and history of the town or city where the book is set. Becoming an expert blogger on the particular theme or time in which your book is set will attract far more interest, and many more people than a link to your book buy page on Amazon on Twitter. Again, this is because a blog such as this will deliver informative, useful, quality content that search engines will index and people will be interested in reading. Why did I mention search engine indexing, again? Think about this. Your book on Amazon is indexed only once on Google. When you write blogs, every post you write will be indexed, and every index listing will lead to your blog, oh, and to your book widget and author page that you would like people to ‘trip over’. Now for the really tough question you need to ask yourself. How much have you invested in marketing your book? If your answer is, ‘I use everything I can get for free,’ it’s the wrong answer. Every successful book has a marketing budget. But you don’t need to break the bank in doing so. What about your local newspaper? Do they sell advertorial space? It’s a relatively inexpensive way to get known quickly. Are you books being promoted on high traffic websites that specialise in book promotion? There are many, and prices vary, but look for ones that give you the most exposure for the price. Do some investigation into each site’s traffic. Look for websites sites with a ranking under 500,000 at least. There are millions of websites, so the lower the ranking, the better. One thing NOT to do is to pay to promote your free ebook days on KDP. Why pay good money when there will be absolutely no possibility of any royalty return at all. And one last idea. Have you thought about being a contributor to Huffington Post? There are many ways to promote yourself as an author and at the same time, help sell copies of your books. Think outside the nine dots and look for opportunities that are related to what you do. Writing. Footnote: I would highly recommend using a self-hosted WordPress site if you are considering making money from blogging, as search engines do not index free blogging sites such as Blogger, Weebly, Tumblr or WordPress.com nearly so well. I am trying to put these into practice. Thank you for all the very practical tips.